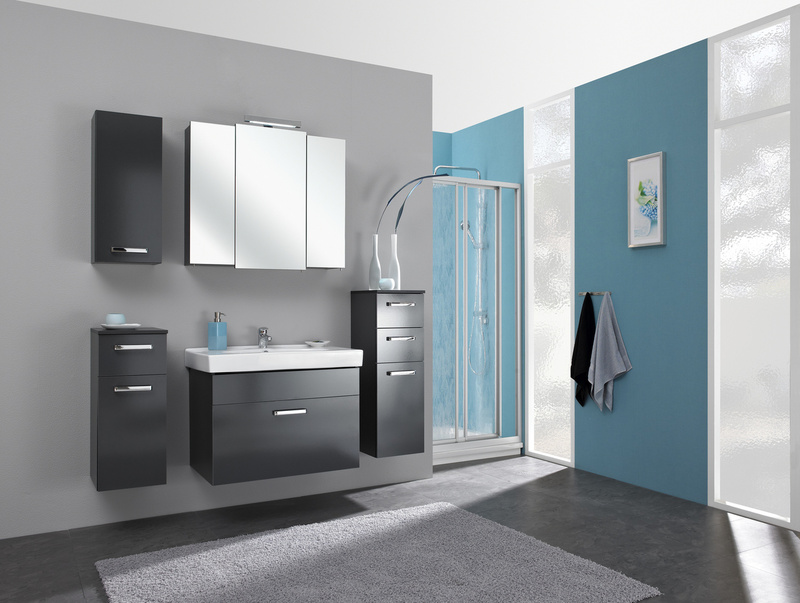 The Mainz bathroom furniture set offers a perfectly coordinated bathroom furniture range to help you give your bathroom an elegant appearance. 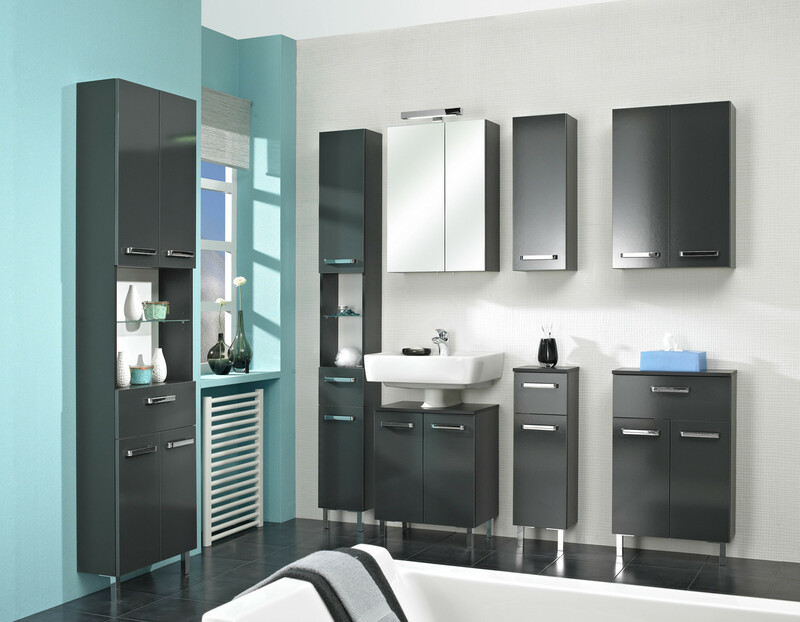 The fronts and carcasses of the attractive combinations are given a glossy anthracite finish. 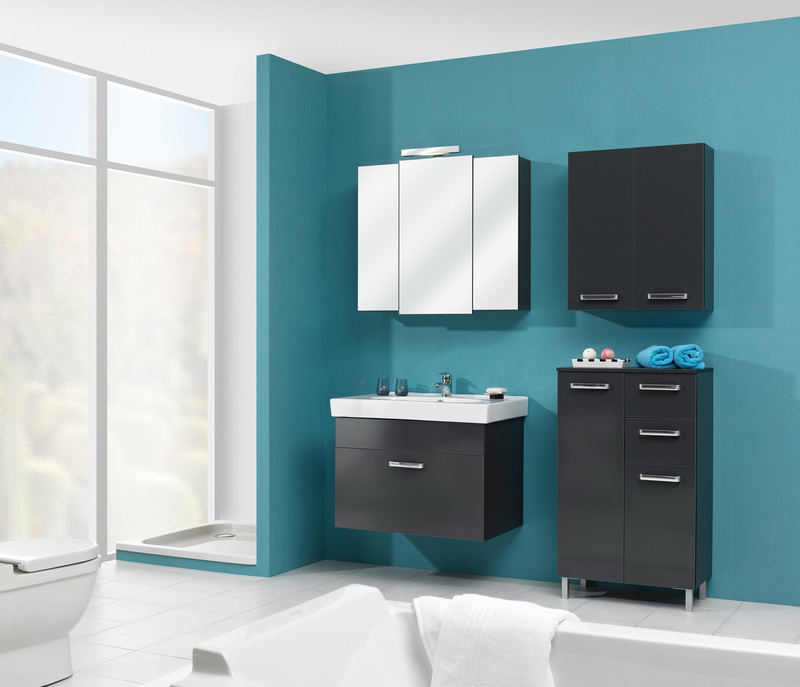 In addition to the excellent quality brought about by the premium workmanship, the set also offers fantastic combinations of vanity units, mirror cabinets and additional units. The additional units are fitted either with convenient drawers or cushioned doors and provide a large amount of useful storage space, which is best organised through the use of additional removable shelves. 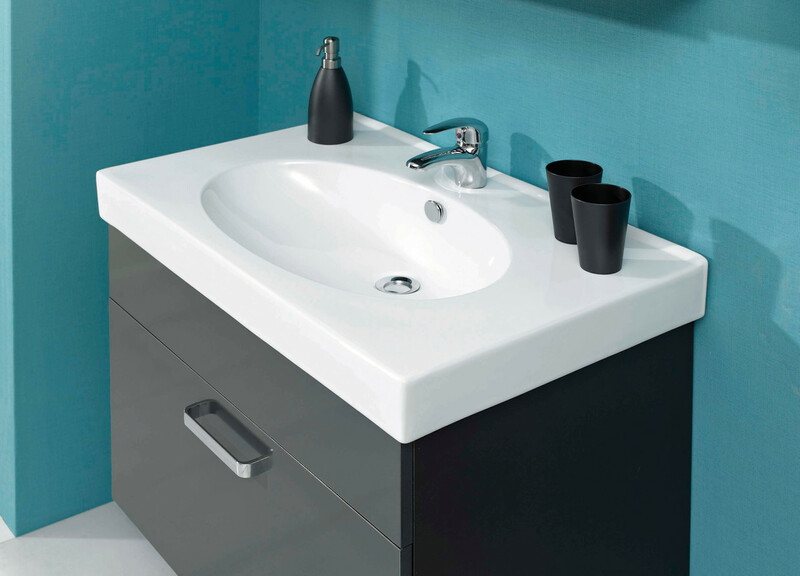 The vanity unit fits in with any washbasin. 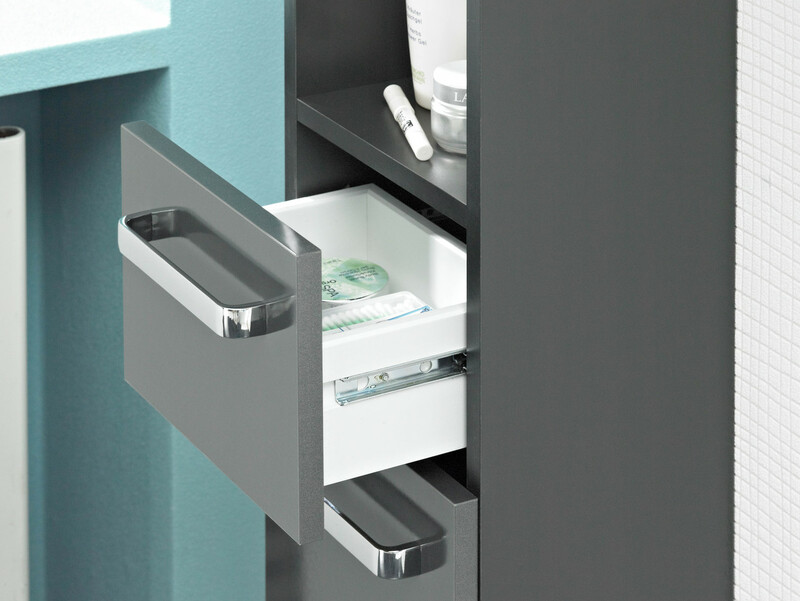 The mirror cabinet ensures optimum organisation as well as perfect illumination by means of its LED top lights. The Mainz set can either be attached to a wall or free-standing (feet set available separately), whichever suits your needs better. Let yourself be convinced by this combination of design and quality in your own home. 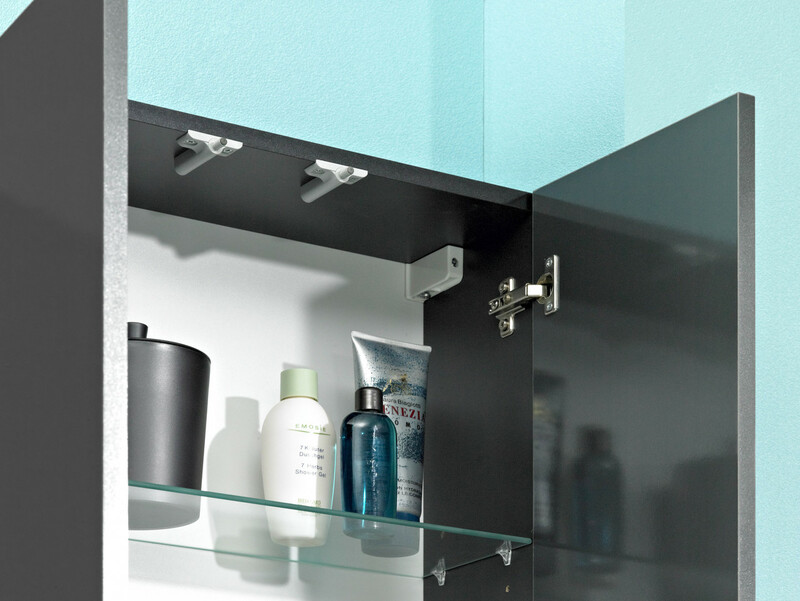 On the inside, your bathroom furniture set is coated with white melamine, which is ideal for quick cleaning and less prone to collecting moisture. We manufacture our own furniture using the latest techniques and in accordance with the latest compatibility standards. Allow yourself to be won over by this fantastic quality at affordable prices! The bow-type handles are finished in a chrome look.